My first time making chimichurri sauce. In a blender (or food processor) add parsley, garlic, oregano, red pepper flakes, red wine vinegar, and seasonings; pulse and slowly add olive oil until ingredients are combined. 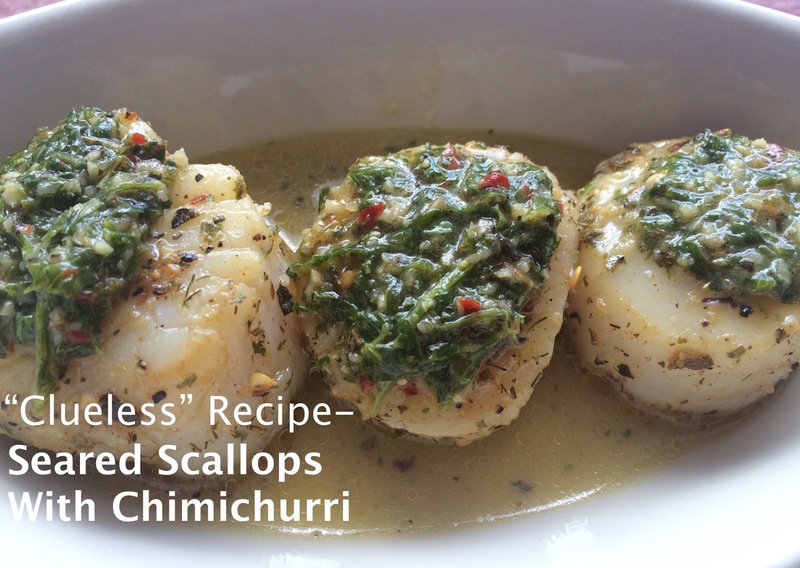 Heat olive oil in a skillet over medium heat; place scallops in the pan and cook for about 2 minutes on each side; seasoning along the way; do not overcook; scallops should feel squishy not rubbery; add scallops to a platter and top with chimichurri sauce and enjoy.